by Rebecca Gibb in Auckland – Wine bosses in Australia are frustrated by the slow progress of the country’s vine removal programme, with around half the projected amount of vines being grubbed up since 2009. 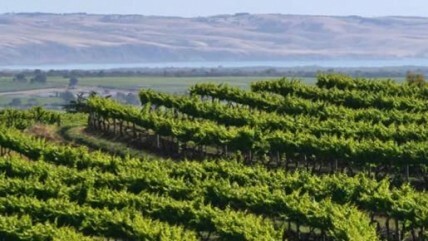 The 2009 Wine Restructuring Action Agenda (WRAA) indicated there were 20-30,000 hectares of surplus vineyards in Australia. The Winemakers‘ Federation of Australia estimates 14,000 ha have been removed since the Agenda’s launch but reform has not been as been as extensive as hoped. by Rebecca Gibb – The huge Australian harvest this year is ‚out of step‘ with the realities of sustainable production, a senior executive has said. Yields from the 2011 Australian and New Zealand harvests have exceeded all expectations. just-drinks.com editorial team – There is likely to be no end to low wine grape prices in Australia in the next three years, according to the Government’s research body for agriculture. Wine grape prices in Australia have plummeted by between a third and 50% over the last decade, according to figures published this week by the the Australian Bureau of Agricultural and Resource Economics and Sciences (ABARES). Red wine grape varieties have suffered the worst falls. In a report that will throw the spotlight on industry efforts to persuade more grape growers to quit the sector, ABARES said that grape prices are likely to remain low due to an increase in bulk wine exports, ongoing oversupply problems and competition in international markets. by Adam Lechmere – Decanter readers should ignore Burgundy and go to Australia for their Chardonnay, The Wine Society’s Pierre Mansour has said. by Lucy Shaw- Australian winemakers have been banned from using the words Champagne, Port and Sherry on their labels under a major EU deal. Australian winemakers have been banned from using the words Champagne, Port and Sherry on their labels under a major EU deal. Surplus Australian wine sold off for less than AUD1 (US$0.88) per litre has damaged the value of Australian wine exports over the past year. Ten of Australia’s top winemakers are touring China as part of the industry’s plan to develop Australian wine’s premium credentials in the country. The winemakers began their tour at the Shanghai World Exposition this week, under the banner: „A+ Australian Wine – every one has a story“. A French Sauvignon Blanc has been blocked in Australia, following complaints from the New Zealand Winegrowers Association. Lacheteau, a producer based in the Loire Valley, already sells its „Kiwi Cuvee“ in Europe and Britain.